Happy Memorial Day weekend! In honor of the official summer kick-off, today’s Friday “Beauty” Favorites is all about fun, summer accessories and looks. So here’s what I’ve rounded up. Enjoy! What are you excited about this upcoming summer? Let me know by commenting below, on Facebook or on Instagram. If you follow me on Facebook, Instagram and/or Pinterest, you may have noticed that I’ve been including more home decor related posts. When I first created this blog, my goal was to inspire others to be more receptive to natural/organic brands and to give people with curly hair the confidence they need and deserve. Although this still holds true and is something that I hold dear to my heart, I have also realized that I’m very loyal to products. I’m not high maintenance when it comes to hair and makeup, and once I find something that works for me and that I trust, I don’t continue to try and test different products. In fact, I have a pretty neutral makeup routine that is consistent from day-to-day. Believe it or not, it took me some time to realize this. This is not to say that I’ve sworn off any new brands, but for the most part, my facial, hair and makeup routines have remained the same. I’ve mentioned something similar in the past, but to me Bashful Beauty Blog is a place for all things beauty. Beauty in fashion, home decor, travel, makeup, hair and just life in general. The reason I’m sharing this with you is because I didn’t want you to feel like I’ve forgotten about my readers or question why I don’t post more frequent makeup and hair posts. Rest assured, those topics are still important to me and will still be featured here. With that said, I hope you guys will enjoy the new and approved blog. In the coming weeks, you’ll get a peek inside my kitchen, I’ll share how I celebrated my one year wedding anniversary and I’ll show you the finished product of DIY project I’m currently working on with my husband. Let me know what you think about the new direction of my blog in the comments below. Also, don’t forget to friend me on Facebook and follow me on Instagram and Pinterest. 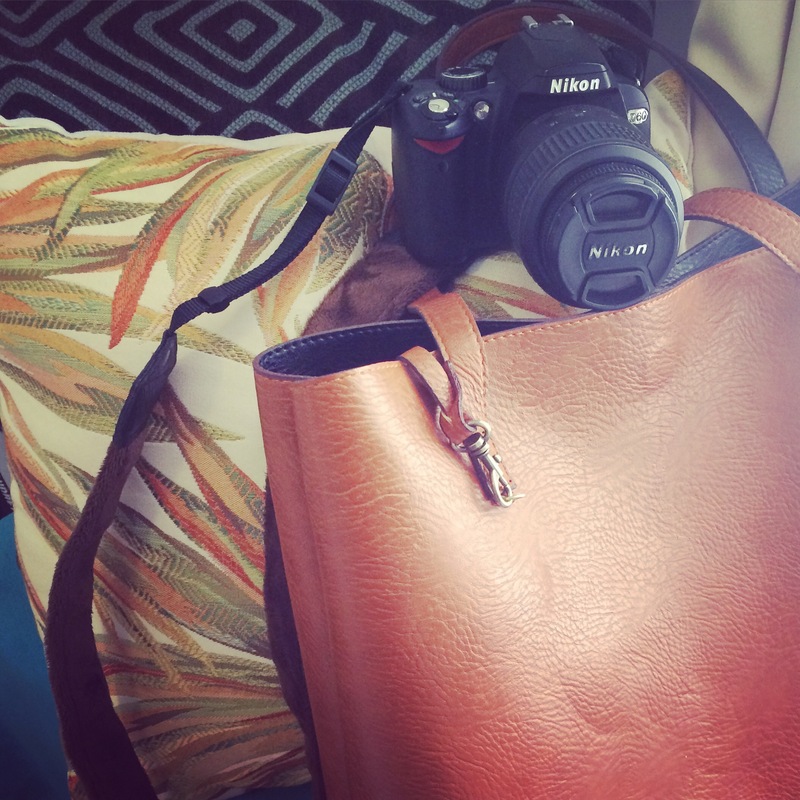 Time to grab that camera and travel bag. And remember, live life and do what you love. 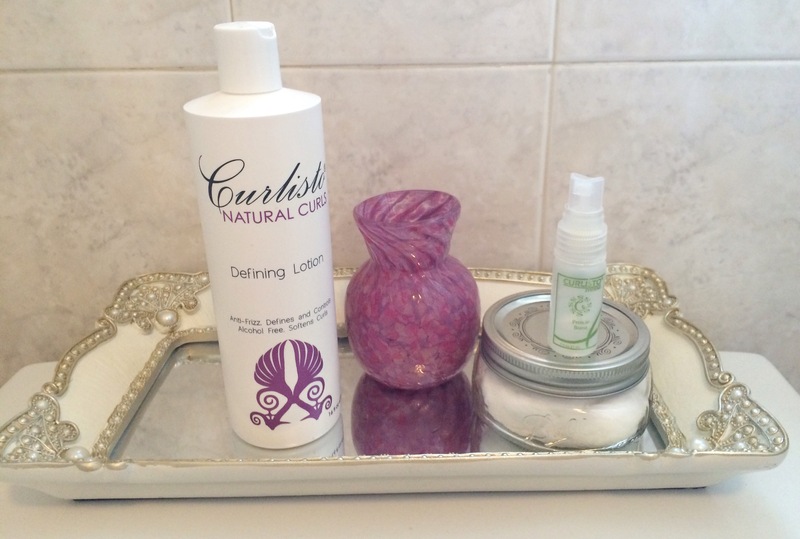 Today I wanted to share two new curly hair products that I’ve been obsessed with lately. 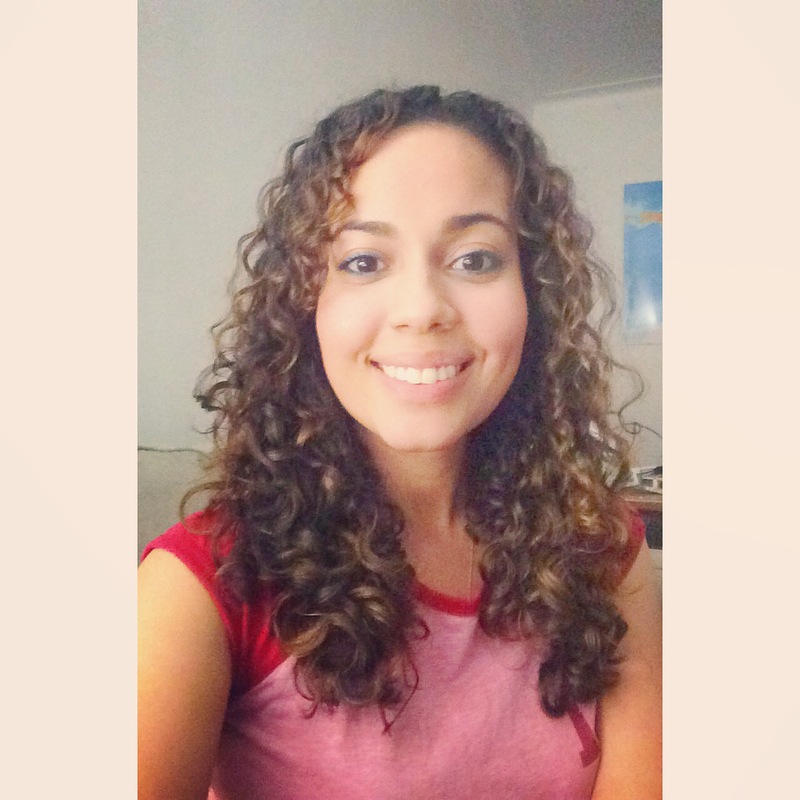 Last month I scheduled a haircut appointment at Christo NYC, home to the Curlisto Natural Curls line, and was introduced to the Defining Lotion and Protein Boost. Believe me when I say that these products are nothing short of amazing. Lightweight, while still providing results. After washing your hair, spray some Protein Boost on your hair, concentrating on the ends. Then, section your hair into three or four parts so that you can apply the Defining Lotion to additional mini sections. This will allow the product to fully saturate the hair. Even though I have curly hair, I don’t have thick hair (believe it or not), and I still think this step is important. Although the products are a little pricey, you only need to apply small portions to get results. I’ve had my 16 fl oz bottle for about a month and I’ve only used a quarter of it. At that rate, this should last me about 3 or 4 more months. And if you’re curious, I now have medium length hair since getting my haircut. Here’s a recent picture, which you’ve probably seen on Facebook and Instagram, if you follow me. Do you have any lightweight hair products that you recommend? Comment below to let me know, and find me on Facebook and Instagram! WILL CBD BE USED TO TREAT A SUNBURN? We’ve all been there: Spent a bit more time at the pool, and our skin turns red and inflamed. Turns out, cannabis may be the answer for even this! In the event that you have a sunburn, cannabidiol or CBD may have the therapeutic impacts to help mend, secure, and soothe your symptoms and burns. We’ve all known about the remedial uses of CBD—how it can treat certain types of epilepsy, and possibly various other conditions as Parkinson’s, uneasiness, Alzheimer’s, and even depression. Be that as it may, can CBD likewise be helpful for treating sunburns? Help your skin improve. The first is to use CBD Topical Cream on Amazon hat won’t irritate the skin. You’ll find that mild bath. CBD has a few impacts that could be useful in treating a sunburn: anti-inflammatory, which focuses on the fundamental component of sunburn-related pain; antibacterial, which is valuable since consumed skin is particularly vulnerable to contamination; antioxidant, which is helpful in battling free radicals. It likewise contains fundamental unsaturated fats that help emolliate dry skin. CBD additionally hoists anandamide, an endogenous cannabinoid that eases pain. There hasn’t been much research on utilizing CBD to treat sunburns, but the recounted proof is promising. Those who’ve tried smearing topical CBD on sunburns report a cooling sensation and easing of pain. Some even report accelerated mending of the burns. There might be an absence of observational examinations, however, theory and anecdotes line up: CBD is likely viable at treating sunburns! The least difficult way to deal with a sunburn with CBD is to utilize topical CBD. Topical CBD is any moisturizer, demulcent, ointment or cream injected with the cannabinoid.You can use Best CBD Skin Cream.CBD oil can likewise be utilized topically. Prior to application, wash your skin tenderly with a washcloth. Apply the topical liberally, in a few layers. At that point, kick back and appreciate the mitigating impacts. For additional adequacy, you might need to consider a CBD topical that likewise incorporates aloe vera. CBD fans have speculated that the blend of these two fixings could be a wonderful mix for treating sunburns. In case you’re searching for an all-natural but cutting-edge technique for treating your sunburns, CBD is an incredible alternative to try different things with. Attempt a blend of oral and topical use for greatest advantage! Comments Off on WILL CBD BE USED TO TREAT A SUNBURN?